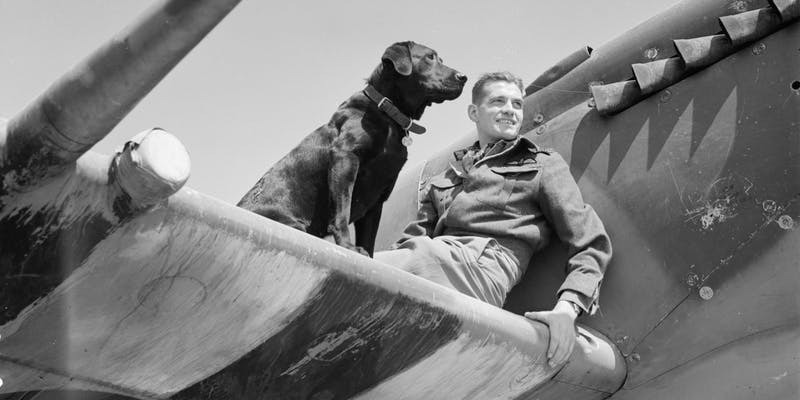 On International Pet Day, join the Kenley Revival Project for the RAF Kenley Pilots and Pets Tour, a themed walking tour of Kenley Airfield. Take a 2-mile guided walk around the airfield and discover the fascinating architecture and stories of those who served here, with their dogs and even a squadron ferret! Discover the fascinating history of Kenley Airfield, and hear the stories of the pets that pilots kept by their side during wartime. The RAF Kenley Pilots and Pets Tour is free to attend and Dogs are welcome on this walk, however, we do request only one dog per adult. Please register here. The event is outdoors and therefore please wear suitable clothing. Surfaces may be uneven and slippery. The route will be a mixture of surfaced path and grass and therefore suitable footwear is also essential. This will be a 2 hour tour starting at and returning to the Kenley Tribute. The length of the route is approx. 2 miles. There is no parking available onsite and we would encourage you to travel by public transport (details can be found here). Limited parking is available on Hayes Lane which is closest to the RAF Kenley Tribute where the walk will commence. There are no toilet or refreshment facilities available. Always remember that Kenley is an active airfield for gliders, so for your safety remain outside of the yellow line at all times. Meeting point will be at the RAF Kenley Tribute (nearest entrance for this is off of Hayes Lane). RAF Kenley Pilots and Pets Tour event description and image by the event organisers.